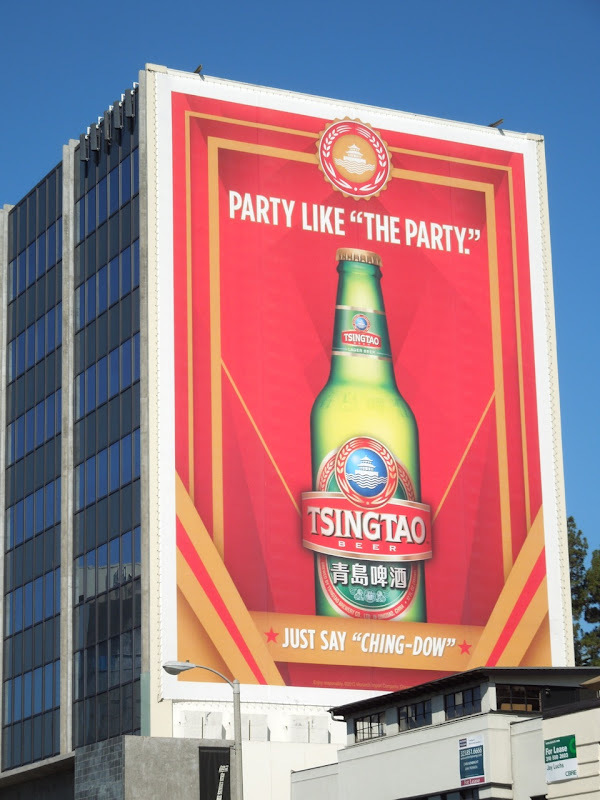 As it's the season to be merry, Daily Billboard couldn't resist featuring these striking billboards for Tsingtao Beer whose colour scheme has a slightly festive red and green feel to it. 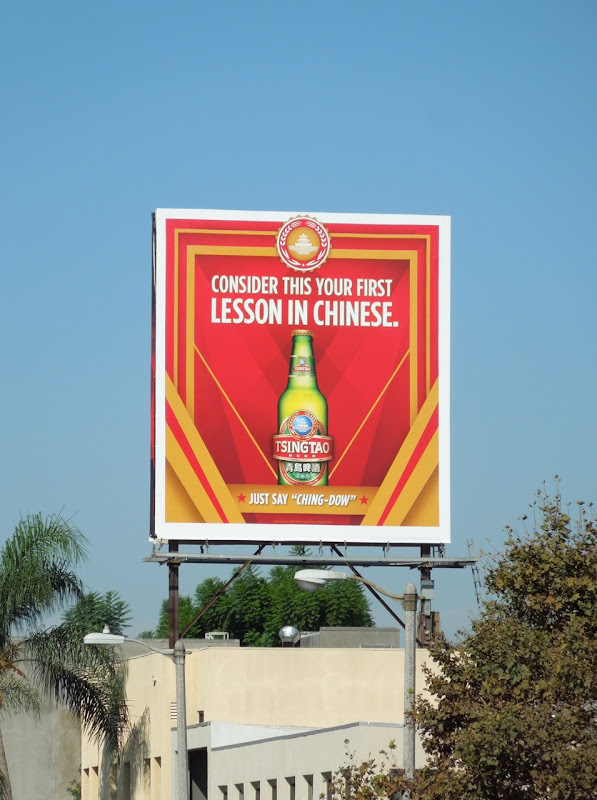 And as most of the products you'll give as presents this Christmas will be manufactured there, why not enjoy a Chinese imported beer too. 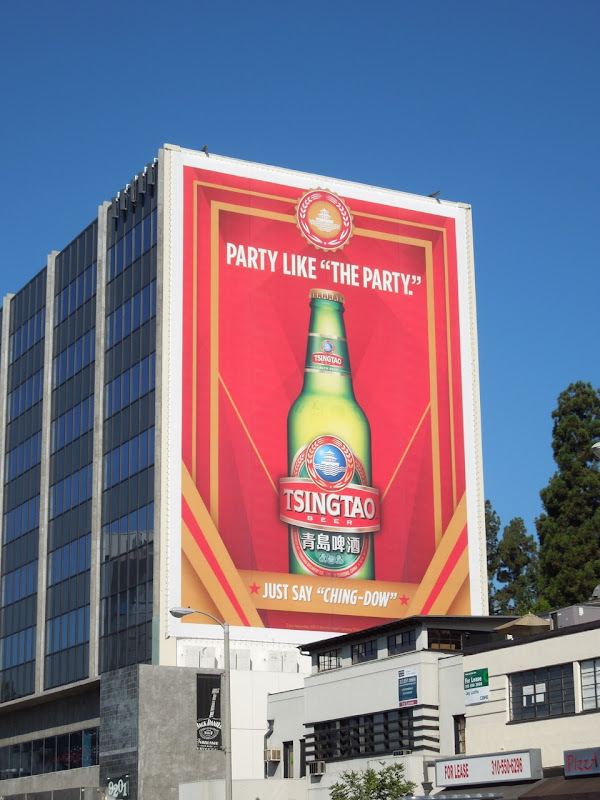 Just like the slogans suggest, 'consider this your first lesson in Chinese' and be sure to 'party like "The Party"' this holiday season. 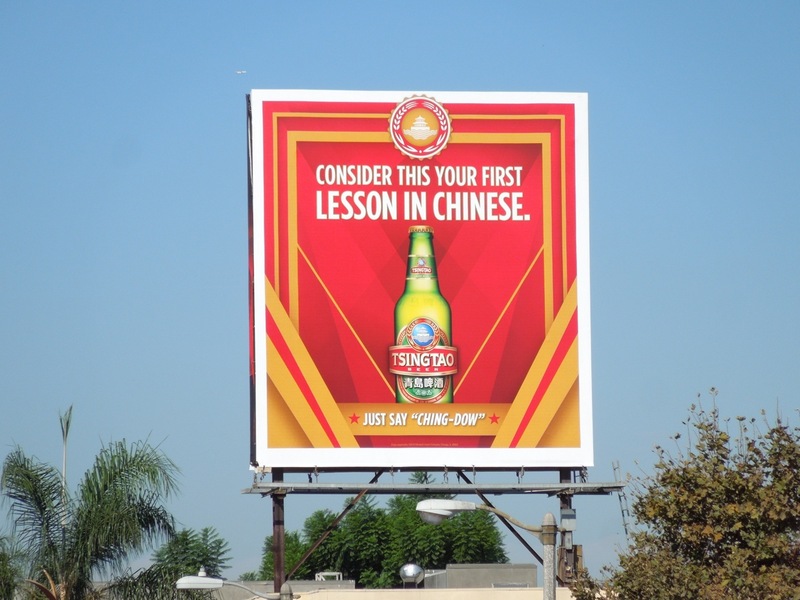 They even cleverly make it easy to order your first drink by helping you pronounce the name properly, Tsingtao translates as "Ching-dow". 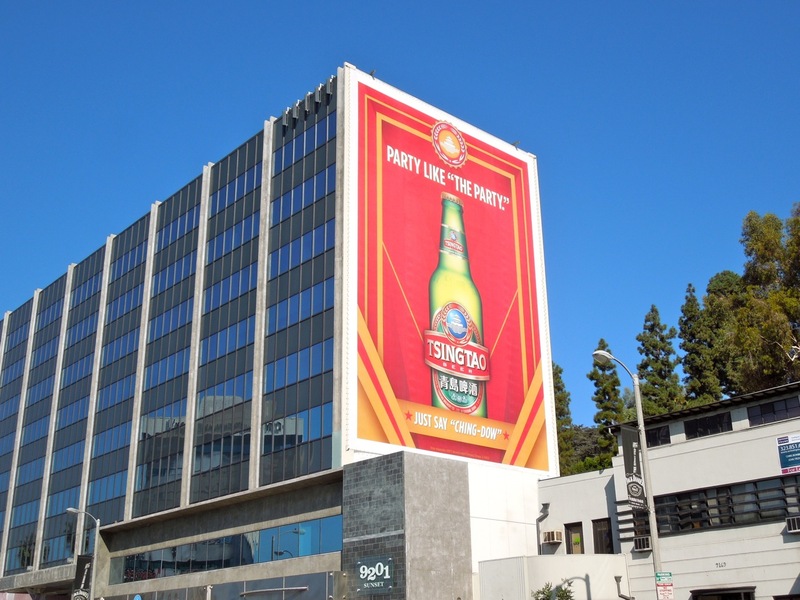 The super-sized billboard for the beer was snapped along Sunset Boulevard earlier this year on September 24, 2012, whilst the smaller squarer version was spotted along Beverly Boulevard the day before. If you like these beer ads, be sure to check out these other beer billboards here at Daily Billboard.